Providing financial services to loaded Indian consumers is cool. What’s even cooler is distributing financial products— and every bank and broker worth its net worth is aiming for a slice of the estimated Rs 20,000-crore pie. fCertified financial Planners (or CFPs as they are known in Western markets) are a much sought-after breed in the global financial services market. This community, almost 500,000 in number at last count in the US, charges a flat fee for the financial advice it provides, not too different from the way a doctor charges for writing a prescription. The fee starts from $100 for an hour of consultation, and can go to as high as $500. The CFPs find plenty of takers (most of them on weekends). The ‘manufacturers’ of financial products (as such providers are known in the West) don’t pay anything to the CFPs. Many CFPs also stay away from the execution part, and it is up to the client to directly buy the product based on the advice of a planner. What’s more, the internet has spawned a number of web-based advisors, who charge for online advice, depending upon the nature of the advice and the amount to be invested. Things are a bit different in India. In the fast-growing domestic market for financial products, the scenario looks opaque. There is absolutely no concept of approaching a financial planner; manufacturers of mutual funds and life insurance plans end up shelling out hefty commissions (as high as 40 per cent in the case of insurance) to the distributors’ community. This directly impacts their ability to generate higher returns for unit holders. Unlike in the US or the UK , the Rs 20,000-crore distribution industry— that number takes into account just commissions—is more like a sales pitch. Undoubtedly, the Indian financial services industry is a long way away from the CFP model. Yet, subtle changes have begun to take place. In the last five years, which coincide with a high GDP growth of over 8 per cent, the financial services distribution industry has seen an emergence of a new set of players—players with scale and stature. These include the big commercial banks, stockbroking houses, distribution houses from the stable of manufacturers as well as newer delivery channels like web-based portals and kiosks. “The approach to distribution is certainly shifting to customers from products,” says Hitungshu Debnath, Director (Wealth Management Group), Motilal Oswal Securities. The entry of new players is making the whole buying experience better, thanks to sophisticated models that address the needs of investors of all ages and classes (see The Distribution Dynamics on top). Citibank, Standard Chartered, ICICI Bank and HDFC Bank have emerged as the big distributors of third-party products. Bankers say it’s a logical extension for banks as they are in continuous interaction with customers to better understand their needs. And they can avail of a stable fee-based income without any additional overheads. In the late ’90s, the banks were worried that the MFs would eat away their deposits. But, over time, as deposit rates started plunging, banks had no option but to look for MFs as a new source of income generation. 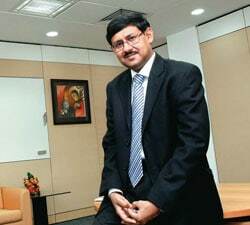 Bhaskar Ghosh, CEO, IndusInd Bank, says: “It’s not all about fee income, as a bank gets lot of other business out of this relationship.” Yet, banks have not even scratched the surface of distribution. Many public sector banks (PSBs) with large branch networks are yet to go the whole hog. Technology is something that many PSBs are still working on. And that’s the vital edge that the private and foreign banks have over their public sector counterparts. “Over the years, technology has multiplied the bank’s distribution reach, thereby contributing to drastically diminishing acquisition expenses,” believes Citi’s Rasal. Along with the banks, stockbroking houses, too, are eyeing the dough in distribution. “We were amongst the first few equity broking merchant bankers to diversify into distribution of mutual funds as a full-fledged business vertical as early as in 2003,” says Lokesh Nathany, National Head (Distribution & Wealth Management), Almondz Global Securities. Today, broking majors like Motilal Oswal, Religare and Sharekhan are in the distribution race, offering customers an entire basket of products. Wealth management as a concept is rapidly developing, both in terms of a customer need and as an area of expertise, especially for banks and big broking houses. "The role of distributors, whether individual or corporate, is shifting from pure sales to advisory," says Prasad Chitnis, Head (Sales & Distribution), SBICAP Securities. Bankers might feel they have an edge over brokers in distribution as customers perceive banks to be more trustworthy. However, as Debnath of Motilal Oswal puts it: "The financial services distribution industry is so large that every player will have its own space." So with banks and brokers ruling the roost, the future doesn't appear too bright for stand-alone distributors. Although individual agents are still a force to reckon with in insurance, in mutual funds the days of the individual distributor might just be numbered. What makes their task that much more difficult is the manufacturers themselves, many of whom are eyeing the distribution pie by floating separate companies to market third-party products. Take, for instance, Reliance Money, a distribution arm of the Reliance-Anil Dhirubhai Ambani Group, which today garners more money for SBI and UTI Mutual Fund than their respective parent companies. Similarly, Rahul Bajaj's Bajaj Group, which has life and non-life insurance entities in its fold, has also floated a distribution company. As manufacturers spin off their own distribution arms, this trend provides an opportunity for other service and product providers to shave off costs by relying on third party distribution, rather than adding on agents and distributors and bloating up its workforce. A captive agent force works out expensive in terms of training and other related costs (in addition to the wage bill). And the numbers can be huge. For instance, ICICI Prudential Life will overtake its parent ICICI Bank in terms of manpower strength in the next two years. Meantime, the regional majors (see Big regional daddies above) will soon feel the heat from distributors with a pan-India footprint. One such giant is Reliance Money. Says its CEO, Sudip Bandyopadhyay: "There exists a lacunae in the system where traditional distributors sell a financial product with a very short-term outlook." Reliance Money is eyeing country's 5,165 talukas by the end of the current financial year. "We already have a presence in more than 3,000 places," adds Bandyopadhyay. Also keeping pace are the electronic channels, which could threaten the brick-and-mortar model in the not too distant future. 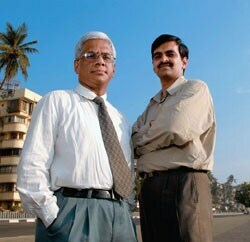 ICICIdirect.com has already emerged as a big mobiliser of IPOs and MFs through its web. However, a section of experts feels that due to the advisory nature of the business, it will take a good number of years for pure online models to eat into the offline variety. "Both the models can go hand in hand," believes Nathany of Almondz. Foreign interest in retail distribution may also change the landscape going forward. Big names like Goldman Sachs, Nomura Securities, E-trade, and Smith Barney are already flexing their muscle on domestic soil, and once they firm up their strategies, the distribution space will witness plenty of more action. But there are also tense times for the industry, with market regulator, the Securities & Exchange Board of India (SEBI), recently floating a discussion paper on "no-load" MF schemes. If this becomes a reality, it will come as a big blow to distributors. Similarly, the insurance regulator, the Insurance Regulatory & Development Authority (IRDA), is also making noises about "mis-selling", what with commissions soaring to as high as 40 per cent in the first premium. If both the regulators have their way, the financial services distribution industry may be set back in the short term. But over the long term, this may be just the trigger to hasten the industry's move towards a CFP model.